Thanks to Kailyn for this article! I do a lot of canning which means I have a lot of mason jars. Like tons of mason jars, it really is becoming a problem. Now, along with canning I also like to reuse things as much as possible and so, mason jars have become my new wrapping paper. They make the perfect little containers for small trinkets and gifts and when tied with a bow and cute handmade gift tag they look downright adorable. 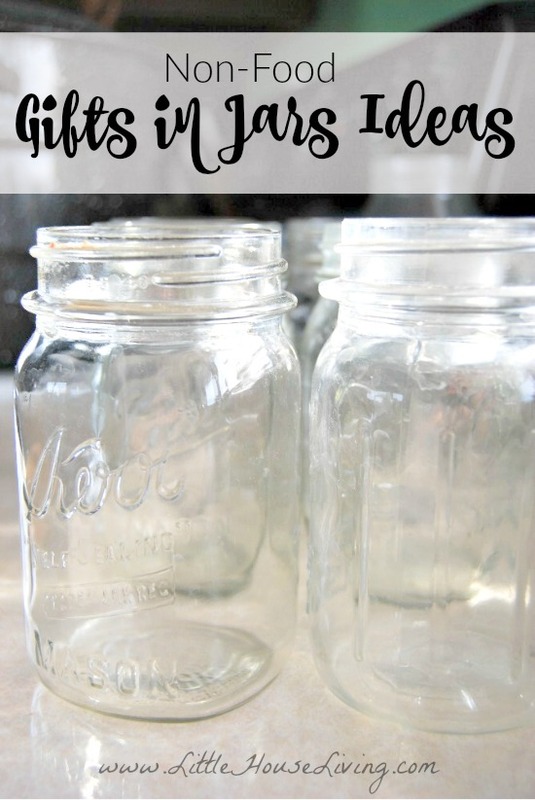 If you are looking for some food-in-mason-jars gift ideas as well, here are a few you can check out to get you started on your gift making. Like I said, I’m still brainstorming and I’d love some help! If you have any other themes or ideas please share them. My name is Kailyn and I am a teacher, a wife, a mother, and a wanna-be farmer. 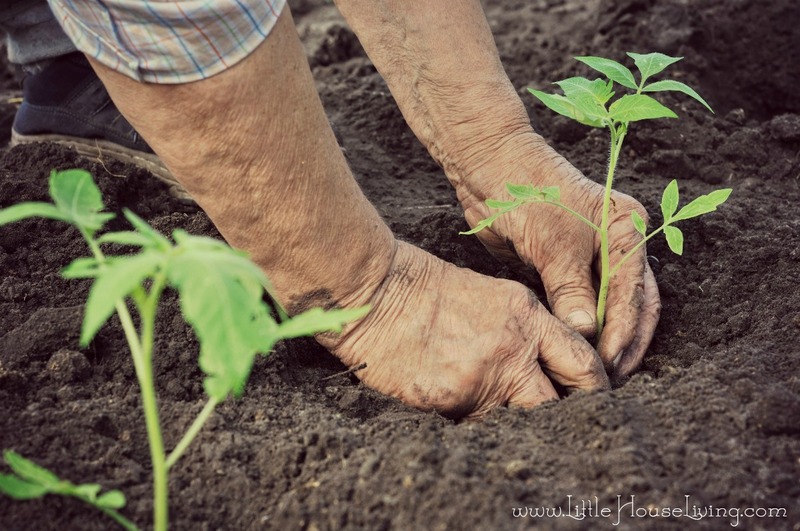 I like to get my hands dirty in the garden and explorer my inner artist with DIY projects…some of which actually work. I’m raising my little girl, a flock of chickens and an energetic beagle in the woods of New England. I blog about our homesteading adventures and journey to a more natural lifestyle at Our New England Home. 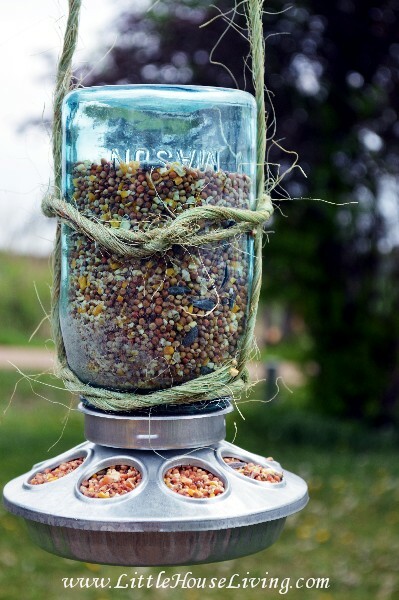 You could also do a gift jar with fishing stuff for the fisherman in your life! 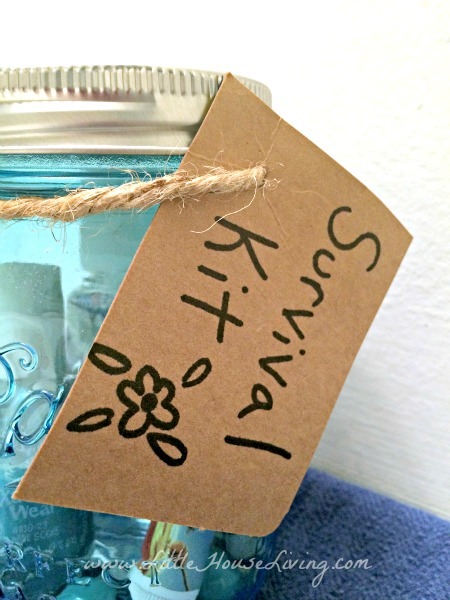 You could do a Wedding Day Survival jar. It could have a package of tissues, safety pins, clear nail polish, small lint roller, mints, lip gloss/chapstick, Tide pen, bobby pins, small mirror, etc. I do this for our girls and friends. But I make a bag for it all and also add pads and tampax. WHite thread and thread to match bride maids dresses, gum and what ever else I think of. I love mason jars. With more and more people having specialty diets it is nice to have ideas that are non-food related. These are some nice ideas. Tie bow on jar w winter white- lace, glue on the a silver snowflake! On front of jar…:) carol up on the mountain! 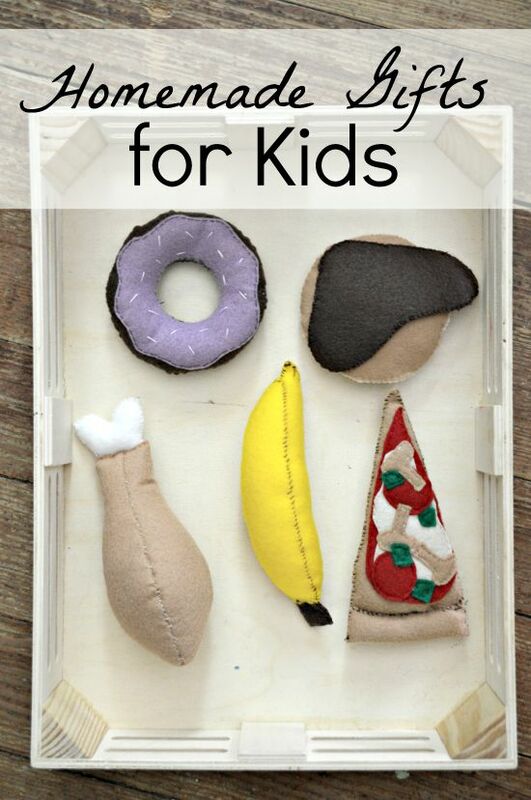 Love this post about non-food gifts. Thanks for sharing at Let’s Get Real Party. Great ideas! I like how easy this would be to apply to all kinds of things, depending on the person and their interests. Must put my thinking cap on! These are fantastic ideas! 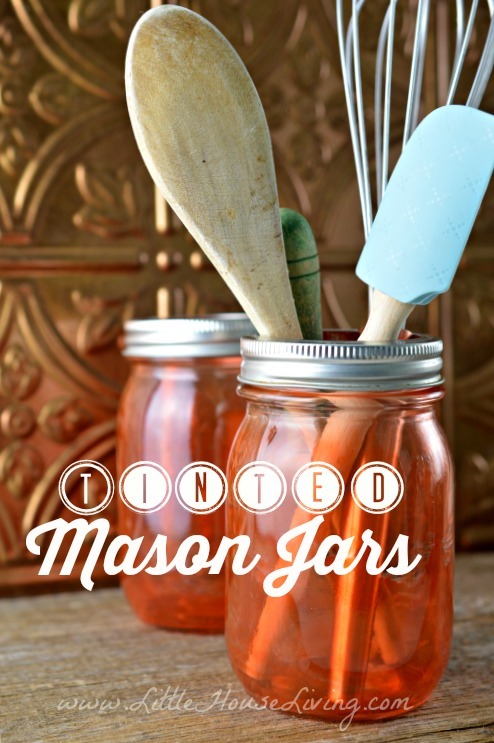 Thanks for sharing with our Creative Spark party; we’re featuring your Mason jar gift ideas this week! Hope you’ll stop by and link up with us again! How about a power outage survival kit with emergency candle or a handful of tea lights and matches, and a game that can be played in dim light. Instructions added to place the candle in the jar and light it for better safety and better light. I do this at home during outages to keep candles from getting knocked over. Another thought I had was a Car Emergency Survival Kit. I would use a plastic jar and add some hand warmers, a mini crank flashlight for light and signaling help, granola bars, or snack packs. Maybe a bottle of orange juice because it doesn’t freeze as solid as water so can be sipped on for liquid. I know this one has some food items, but that could be an issue in a car emergency. Nice idea. you can personalize each gift. Great ideas – love the one for men! 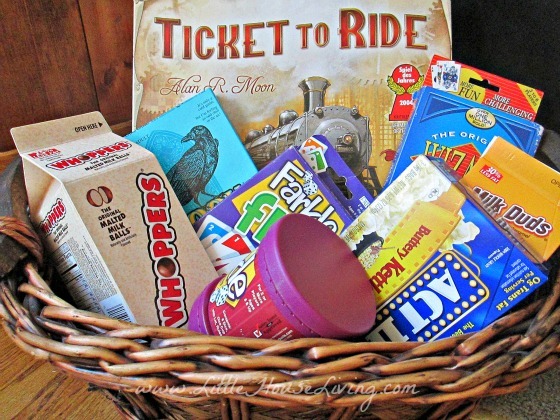 I love these creative gift ideas, do awesome. So many great ideas here, lots of different ways to dress these up! Thanks for sharing at Merry Monday! Cute ideas! I made a few survival jars in years past.. I’ve also thought of making nail polish/ manicure jars together. i gave a mason jar to a friend who gardened all the time. put seeds of all kinds…flowers and vegis. then added other things that fit from the garden store, a nice soap, a fingernail brush, a couple of markers for the garden and a sharpie. I love all of these ideas!! I do make a spa in a jar with my products: In a wide mouth quart jar, I add 1 lavender body butter, 1 sugar scrub, a small tea blend, a bath tea pouch and a lip balm. Tie it all with a big bow. Thank you Merissa for posting cool stuff as always!